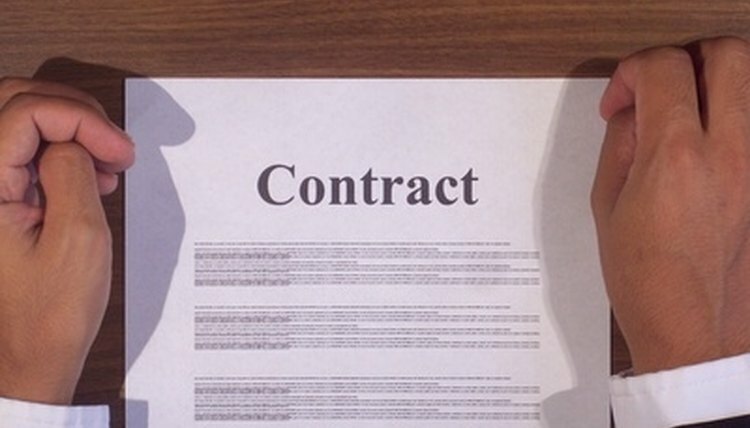 Contracts are a necessary part of business transactions. Their use, however, is not always economical in smaller business deals. In these situations, though a contract might still be called for, a lengthy contract that identifies liabilities, terms of sale, all potentially involved parties and so on doesn’t always make good business sense. Consequently, many small businesses write shortened or abbreviated versions of contracts which simply articulate the basic elements of the business deal without introducing legally extraneous elements. Writing a short contract can be done if you limit the amount of contractual tasks, concisely articulate the parameters and limit the number of risks for the contracted parties. Identify the tasks the contracted party will be obligated to complete. Tasks should be clear, concise and related. For the sake of brevity, you should break apart tasks with many steps into smaller and shorter tasks. Doing so will enable you to write a series of shorter contracts rather than one cumbersome contract. Articulate the tasks the contracting party will be obligated to complete. As with the contracted person’s obligations, these tasks should be clear, concise, related and limited to smaller and shorter tasks. Describe the time frame in which the tasks should be completed. To shorten this section, you should simply use general time frames, such as “five days” or “three weeks” as opposed to specific calendar dates. This, coupled with the date of the signing of the contract, is enough to indicate the time parameters in which the tasks must be completed. Establish the penalties for failure to complete the contracted tasks. For simplicity’s sake, you could limit such penalties to the forfeiture of the agreed-upon payment. Sign and date the contract to initiate the agreement. Hamilton, Samuel. "How to Write a Short Contract." , https://legalbeagle.com/6669491-write-short-contract.html. Accessed 21 April 2019.